…Lao authorities continue to arbitrarily arrest and detain government critics and charge them under provisions of the Criminal Code. In many cases, little or no information is provided to those arrested on the reason for the deprivation of their liberty or the charges they face. Lao activists have been detained incommunicado without access to legal assistance, and held in prolonged pre-trial detention. This amounts to a clear violation of Article 9 of the ICCPR [see also below, Article 14]. …The government has continued to refuse to adequately and effectively address the issue of enforced disappearance in the country. To this day, the fate and whereabouts of at least 13 activists remain unknown. 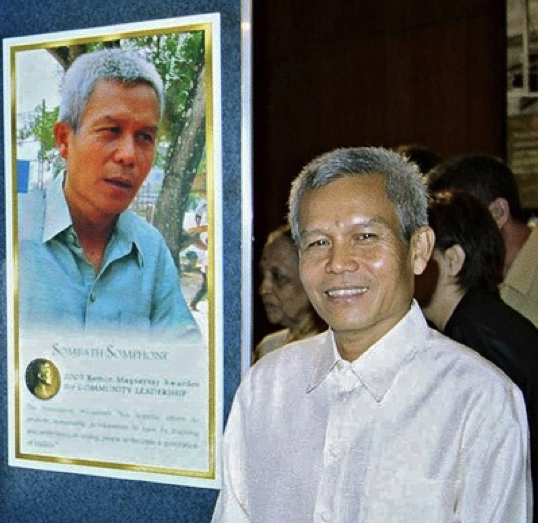 In the most emblematic case, the government has failed to conduct a thorough, credible, and impartial investigation into the enforced disappearance of prominent civil society leader Sombath Somphone, who disappeared after being last seen at a police checkpoint on a busy street in Vientiane on 15 December 2012. Excerpts from the International Federation of Human Rights (FIDH) and Lao Movement for Human Rights (LMHR) submission to the List of Issues for the 121st session of the UN Human Rights Committee. The full submission is available here, and the Lao government report and other documentation here. Is Maina Kiai welcome in Laos? Maina Kiai, UN Special Rapporteur on the Rights to Freedom of Peaceful Assembly and of Association is visiting Cambodia. Will he be welcomed in Laos? Laos failed attempt to win a seat on the United Nations Human Rights Council in a secret vote in New York was greeted with relief on Thursday by a leading Lao human rights group, which urged the communist government to adhere to U.N. rights treaties before trying to join the council. The secret ballot by the U.N. General Assembly in Wednesday saw Laos come up short for one of five vacant Asia-Pacific slots on the council, with those regional slots going to Kyrgyzstan, Mongolia, the Philippines, South Korea and the United Arab Emirates. The Paris-based Lao Movement for Human Rights told RFA’s Lao Service it would have been “most unfortunate” to see the authoritarian one-party government in Vientiane join the 47-member council. Michel Forst, the United Nations Special Rapporteur on the Situation of Human Rights Defenders has included a listing for Sombath on his website. The full portrait can be accessed here. …we would like to bring to the attention of your Excellency’s Government information we have received concerning a draft decree on associations and foundations which would violate international law and standards related to the right to freedom of association and the right to freedom of opinion and expression, if adopted without further changes. Serious concern is expressed that numerous provisions contained in the draft Decree do not comply with international human rights law and standards pertaining to the freedom of opinion and expression and freedom of association including the ability for associations to operate freely without State’s undue interference. The press release is available in English and French. The full resolution can be found here. Video of interventions by parliamentarians can be seen here. (AFP) UN human rights experts demanded today that Laos do more to reveal the fate a prominent activist who went missing a year ago, warning his disappearance could have a “chilling effect”. Sombath Somphone, 62, went missing on December 15, 2012, when he was seen being led away by police in Vientiane after his car was stopped at a checkpoint. CCTV images later emerged appearing to show him being driven away with two unidentified people. “We are deeply concerned about his safety and security,” the UN working group on enforced or involuntary disappearances said in a statement. Imagine a man thinking and discussing about development in his country — many people know him, a regular person like you and me. Imagine he organises civil society meetings which are transparent and non-controversial, open to everyone – including his own government. Imagine that he is stopped one night ten months ago at a police post and never reappears. Imagine that the last images of him getting out of his car are caught on closed circuit TV and shown to his family – but that this original footage is never released for analysis. Imagine European parliamentarians and others in the EU openly and repeatedly calling for this man’s return—but receiving no answer. Imagine how other human rights activists in his country feel when they see this happening. And imagine that this country will apply for a seat on the UN Human Rights Council in the near future. 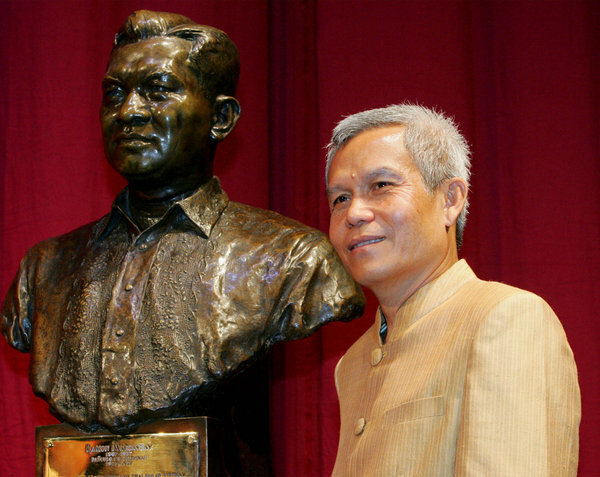 The country is Laos, and the man is Sombath Somphone. Katharine Derderian, Amnesty International EU Foreign Policy Officer. The full statement can be seen here.